2 x .30 cal M1919A4 Machine Guns (Bow). 4 x .30 cal M1919A4 Machine Gun (Corner Sponsons). Armour Upper Hull Front: 32mm. Notes The M2A1 had a new larger turret and thicker armour, as well as other feature as the M19 Gun Mount, better recoil mechanism, splash deflectors on hull front and new Machine Gun sights. 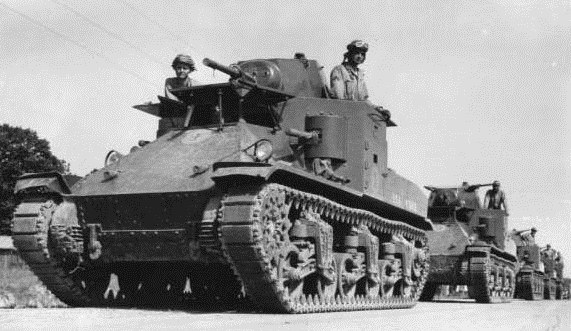 By this time production was shifting towards the more effective M3 so the M2A1 joined the M2 as a training vehicle.